Tuesday marked the first anniversary of the National Day of Honor, which the president proclaimed in 2012 to mark the anniversary of the Iraq invasion and, particularly, the 4,500 troops killed in action. 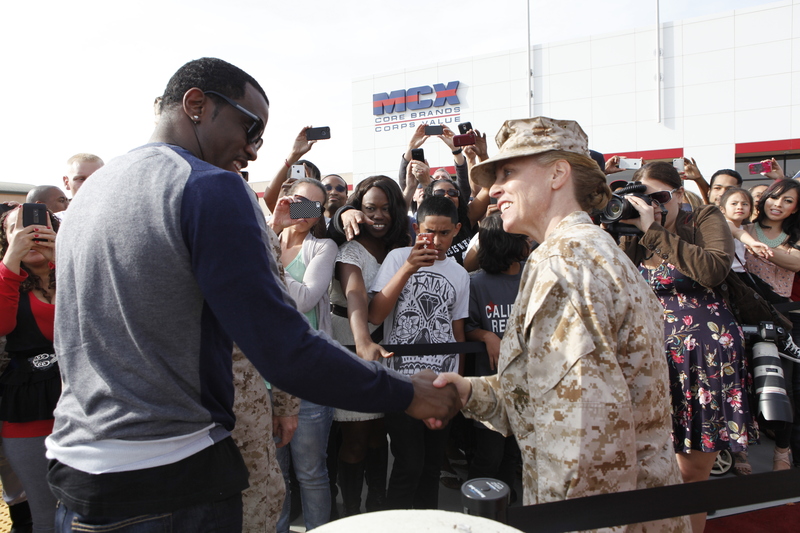 Among the events being held nationwide this week to commemorate the 10th anniversary of the start of the war was a visit to Miramar Marine Corps Air Station in San Diego, Calif., by hip-hop rapper and music mogul Sean “Diddy” Combs. Combs, who counts among his business ventures a partnership with Ciroc Vodka, appeared at Miramar in the event co-sponsored by Maxim magazine. “I have always been in awe of the level of commitment and dedication exhibited by the men and women of our armed forces. I am honored to be in a position to support them,” Combs said in a press announcement of the event. Combs, wearing sunglasses and dressed casually, shook hands, signed autographs and posed for photographs for Marines, wives and other fans outside the air station’s Marine Corps Exchange. He was accompanied by former Capt. Christopher Minaya, who is Ciroc’s first “military brand ambassador.” We’re not sure exactly what that means, but you can follow Minaya on Twitter. And speaking of Ciroc Ultra Premium Vodka, Diddy’s favorite drink? Coconut Ciroc mixed with pineapple juice, he tweeted. One theme from Combs’ visit to the air station, which recently marked the return of the 3rd Marine Aircraft Wing from Afghanistan: Celebrate responsibly. The event comes just a few weeks after Miramar hosted the one-man play, on March 4, called “Rum and Vodka,” as part of an alcohol awareness and education campaign to combat binge drinking. The Marine Corps wants to encourage more responsible drinking, and its Alcohol Screening Program kicking off this year (subscribers can read here) will include random sobriety checks and other measures.